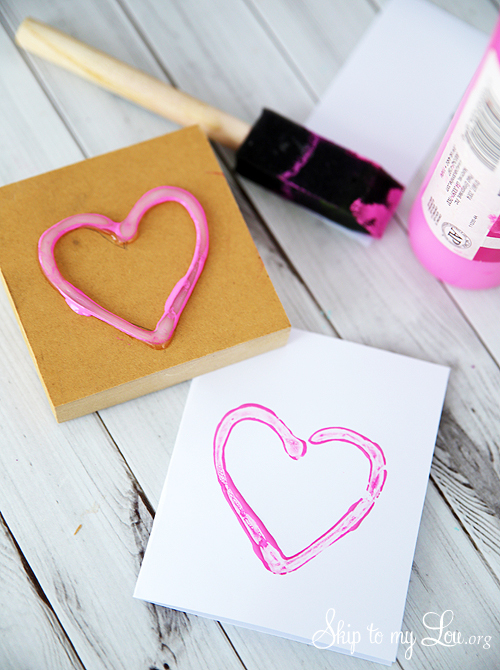 Would you believe you can create your own custom stamp from supplies found at Lowe’s? This is a great kids activity. 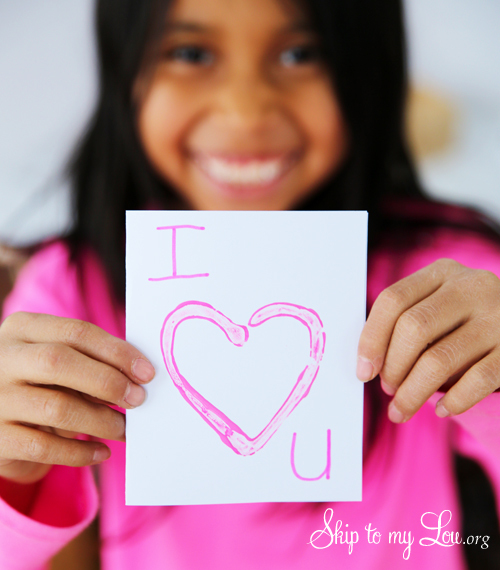 We used these simple supplies to create some Valentine’s Day Cards. Grab some scraps of wood. We used 3 inch squares of MDF. 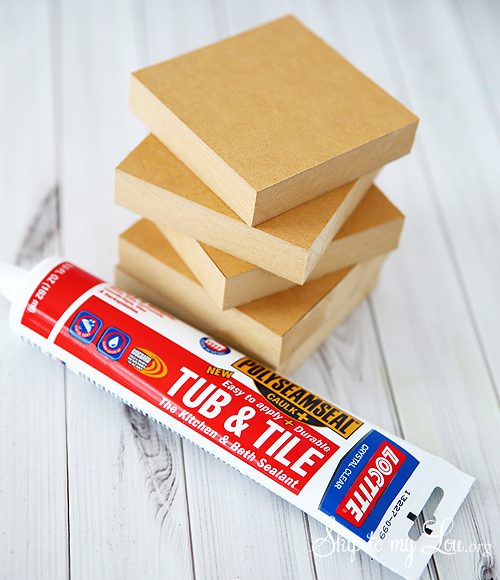 You will also need some kitchen and bath sealant or caulk. 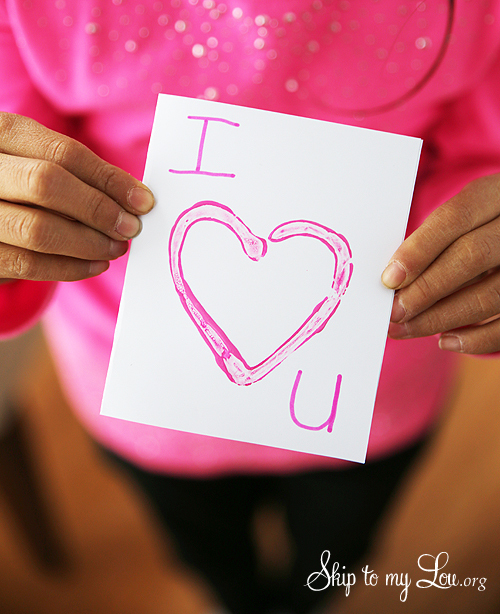 Use a pencil to make an outline of your design to use as a guide. Place sealant along the pencil drawing. If there are raised areas where you started and stopped, a finger dipped in water can gently pat them down. 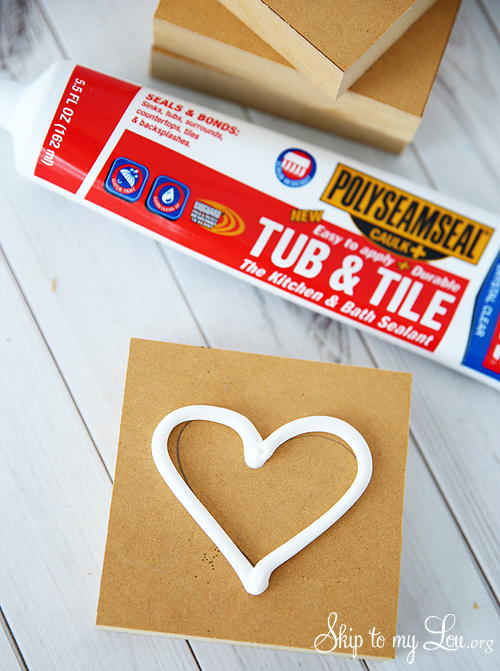 Allow sealant to completely dry. Read package for complete details. Once dry paint a little paint on the dried sealant and stamp onto paper. 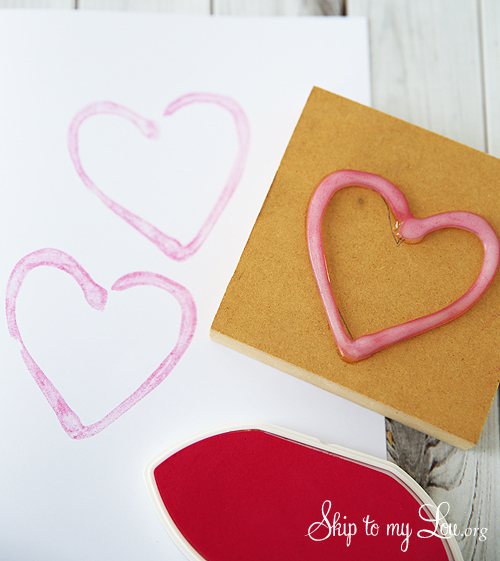 Or you can use an ink pad for stamping your design. How easy was that! So next time your are at Lowe’s you can pick up your crafting supplies! We do! 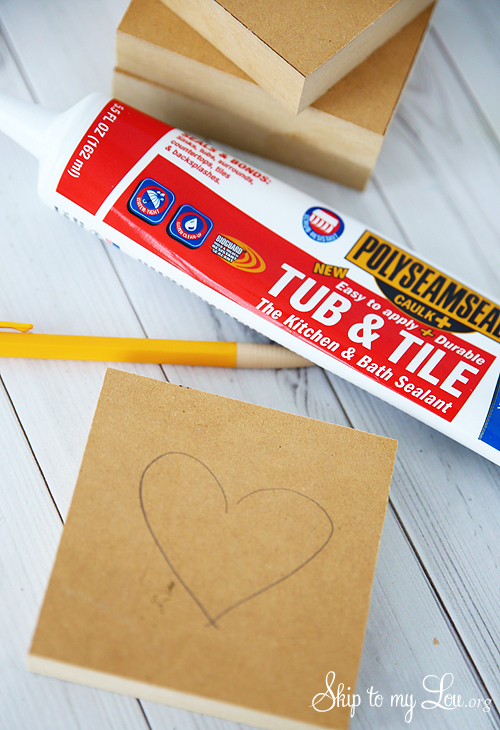 Lowe’s is the perfect place to find supplies to craft outside the box! For great ideas and loads of inspiration sign up for their FREE Creative Ideas Magazine. You can also follow Lowe’s on Facebook for more ideas.